" IMPROVEMENT AS TRADITION "
" LNG: ENVIRONMENTAL SUSTAINABILITY "
" LOOK BEYOND TOMORROW "
" SUCCESS IS THE SUM OF SMALL EFFORTS "
" INTEGRAL BUILDING PROCESS "
" LONG TERM CONTINUITY AND RELATIONSHIPS "
On Saturday the 16th of June, Our Nb. 443 ‘Thun Eos’ was successfully launched at the Westerbroek yard of Ferus Smit. Credits go to the creators of this nice video: Capture Producties. A nice movie of one of Symphony’s DP2 vessels using its pipe handling system. As you can see, the ship hardly moves thanks to the DP2 system. On Friday the 2nd of February, Our Nb. 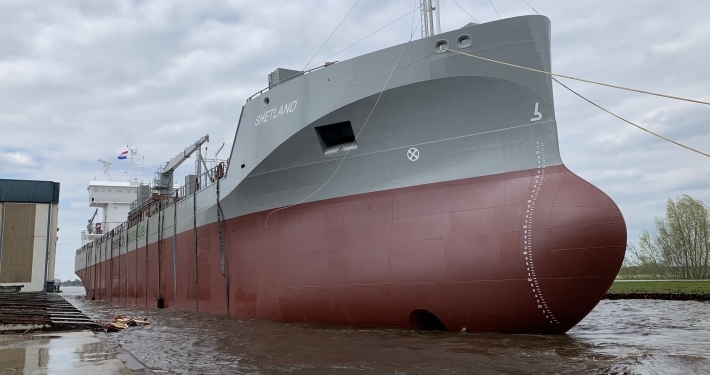 422 ‘Symphony Space’ was successfully launched at the Leer yard of Ferus Smit. The movie attached is published in Slow Motion.